For those who enjoy a good weather story, we note the Saffir-Simpson scale measures the intensity of a hurricane. Wind speed is measured on a scale of 1 to 5, with Category 1 winds between 74 to 95mph and a Category 5 blasting along at 155mph or more. While we have yet to see how powerful the blast of the Brexit will be on US community banks, we thought it was time for an update. The British government has finally laid out details for its departure from the European Union (EU) in a 77 page white paper. This moves the Brexit closer to reality and once the Brits trigger Article 50 it begins a 2Y countdown to actually leave. This reality drove British Prime Minister Theresa May to meet with President Trump recently to reach out in an effort to begin planting seeds for an eventual trade deal between our countries. In the meantime, investors do not like uncertainty, so expect more volatility related to all things British. For starters, volatility has returned to the British pound, which remains well below its pre-Brexit value. If the pound becomes more volatile, it is safe to assume that unpredictability would translate into turbulence in the FX markets. The impact of this could be felt far and wide, given how many companies and industries are tied to the value of the British pound - most notably the greater financial sector. This is just one area of risk, so we thought it would be a good time to take another look at some of the other ways the Brexit could potentially impact community banking as well. Of course, the largest US banks operate all over the world, so the impacts of Brexit to them are already being felt directly. On the flip side, the vast majority of community bankers operate domestically, so the impacts of the Brexit are more likely to come in future years as trickle down regulatory modifications potentially emerge around this event. Community bankers will also see both increased risk and opportunity perhaps, as the impact of volatility here and abroad smashes into the reality of the business model. Another area that community banks may find opportunity in all of this mess is in wealth management possibly. For banks in that space, the biggest banks face huge issues around how to book transactions, distribute their products and all of the costs associated with running platforms in both countries. This could lead to fine tuning or even wholesale changes, so community bankers should remain alert to potential opportunity here. A third consideration for community banks relates to the fact that funding is cheaper for US banks than UK banks. While the US Dollar does impact this, the net effect will be that UK banks and corporations should be increasingly interested in buying US assets. That means our rates could have limited upside, as bonds and loan spreads remain tight due to competition and money allocation from abroad. We will have to see how this all shakes out but those are some of the underlying threads. A fourth area that could spill down to community banking relates to vendor risk. Given so much interconnected activity between the US and UK, the Brexit is a big potential disruptor here. As such, keep an eye on the largest banks with global operations to look closely at vendor and counterparty relationships, as things shake out in the UK. Increased stress and risk could lead US regulators to brush up or more actively enforce rules around vendor risk generally, so community banks should be prepared. Finally, given increased country risk, regulators will look to stress testing at the largest banks to see what they have modeled and what sorts of things might surface that could be impactful. As this works through the system, it might eventually get down into the community bank space, leading to greater emphasis on things such as capital planning or enhancing scenarios your bank might run related to stress testing. At a minimum, expect the noise around the Brexit process to continue to ebb and flow for the next 2Ys, as the process continues along its merry way. 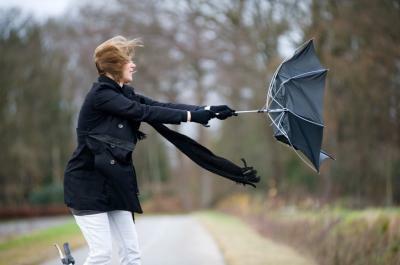 In the meantime, we'll keep you informed as these winds blow across community banking. Yields tumbled 4bp as investors worried about the pace of the Trump administration's policies and doubted the ability of Congress to push through more aggressive reforms. Legence Bank ($304mm, IL) will acquire 8 IL branches with about $146mm in deposits from MidCountry Bank ($797mm, IL) for an undisclosed sum. Wells Fargo has fired 4 senior people and will not pay their 2016 bonuses or unvested equity awards, as it continues to probe illegal sales practices. One former chief risk officer, two regional presidents and one head of strategy and initiatives were all terminated. CNN reports the three largest US banks (JPMorgan, Bank of America and Wells Fargo) earned more than $6.4B in 2016 from ATM and overdraft fees. MX research finds the primary ways people now access their financial institution are desktop or laptop (51%), mobile device (30%), branch (16%) and call center (3%). The BIS reports global debt to GDP has now risen for the past 16Ys and that over this period, the ratio here in the US has soared 63%. Research by Javelin Strategy finds account takeover (ATO) fraud, where a thief steals someone's personal information, then accesses their bank account and has a new card sent to them has seen volumes soar 61% from 2015 to 2016.